The way preservice teachers learn to use technology within their practice varies widely depending on the learning opportunities available (e.g., technology-infused teacher preparation program vs. standalone education technology course), and the knowledge, skills, and attitudes of the teacher educators within their teacher preparation programs. Curriculum, as well as teacher educators’ use of technology for teaching and learning, impacts preservice teachers’ use of technology in their practice. Yet, there is no cohesive set of technology competencies to guide teacher educators in teacher preparation programs. This commentary advocates for the need to develop a common set of technology competencies for teacher educators to help guide their work in helping preservice students develop their ability to teach with technology. Foulger, T.S., Graziano, K.J., Slykhuis, D., Schmidt-Crawford, D. & Trust, T. (2016). Invited Commentary: The Time is Now! Creating Technology Competencies for Teacher Educators. Journal of Technology and Teacher Education, 24 (3), 249-256. Waynesville, NC USA: Society for Information Technology & Teacher Education. Retrieved April 25, 2019 from https://www.learntechlib.org/primary/p/174099/. Darabi, A.A., Sikorski, E.G., & Harvey, R.B. (2006). Validating competencies for distance teaching. Distance Education (27)1, 105-122. Dexter, S. (2006). Content area specific technology integration: A model for educating teachers. Journal of Technology and Teacher Education 14(2), 325345. Duderstadt, J.J. (1999). New roles for the 21st-century university. Issues in Science and Technology, 16(2), 37-44. Fleming, L., Motamedi, V., & May, L. (2007). Predicting preservice teacher competence in computer technology: Modeling and application in training environments. 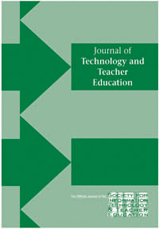 Journal of Technology and Teacher Education, 15(2), 207231. Hoffmann, T. (1999). The meanings of competency. Journal of European Industrial Training, 23(6), 275–285. Klein, J.D., Spector, J.M., Grabowski, B., & De la Teja, I. (2004). Instructor Competencies: Standards for Face-to-Face, Online& Blended Settings (Revised 3rd Edition). Information Age Publishing: Greenwich, CT.
Richey, R.C., Fields, D.C., & Foxon, M. (2001). Instructional design competencies: The standards (3rd edition). ERIC Clearinghouse on Information& Technology, Syracuse University.